Immerse yourself in everything that’s extraordinary about Australia at Healesville Sanctuary! Wander through a stunning bushland setting with our expert ranger who will share stories of unique and unusual native wildlife. Your ranger will get you up close to the most iconic of Australian species, the kangaroo and koala, in an exclusive small group experience where there will be plenty of opportunities to grab the perfect photo. Tales from Platypus Creek See Platypus as they have never been seen before. 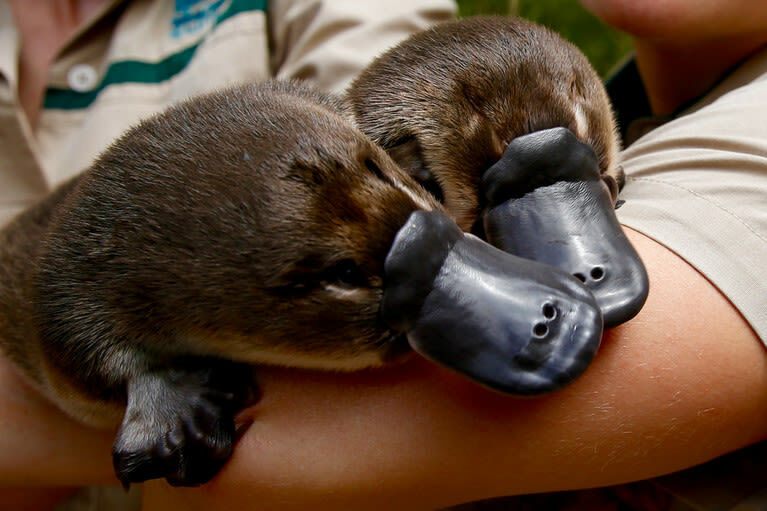 Come face-to-face with Healesville Sanctuary’s most iconic species in a world-first interactive Platypus show. Australian Wildlife Health Centre Visit the Centre to meet our wonderful vets and nurses and watch them at work treating sick, injured or orphaned wildlife. Spirits of the Sky Discover Australia’s majestic birds of prey and magnificent parrots in this this spectacular daily show, free with general admission. Close-up encounters Make the most of your day and add one of our many memorable experiences. Magic moments will get you closer than your ever thought possible to Aussie wildlife. Australian Wildlife Experience This ranger guided tour includes close up encounters with both koala, kangaroo and VIP seating at the Spirits of the Sky show! Wade with a Platypus Healesville Sanctuary is the only place in the world you can play with a platypus! In this exclusive experience guests can enter the platypus pool to play with and feed these incredible animals.